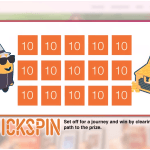 Swedish software developer Quickspin bolsters its customer experience enhancement toolbox, Quickspin Promote, with new mini-game based Challenges. The newest addition to the developer’s set of tools to enhance the player experience, Quickspin Challenges is a seasonally-themed retention tool aimed at slots players. This takes the form of a mini-game in which spinning the same symbol creates a path to prizes for a character displayed on top of any Quickspin slot game. 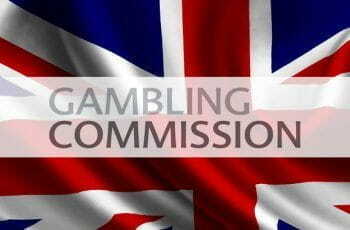 Challenges has been launched initially on the Dwarfs Gone Wild and Goldilocks slots but will quickly become a fixture across the company’s entire roster of slot games. On this new development, Quickspin CEO, Daniel Lindberg said: “We are absolutely delighted to launch Quickspin Challenges. We’ve designed the retention tool to offer some extra excitement with our slots, and hope that it will give our players the chance to enjoy playing them that extra bit more! The promotional tools included in Quickspin Promote are aimed at helping gambling sites increase the happiness of their customers. Flexible Free Rounds, in which players can try different slot titles for free with their preferred betting stakes, is just one useful tool for casino operators to keep players engaged. Feature Trigger allows players to experience free spins bonus rounds while other tools such as Achievements, Game Events and Tournaments allow operators to understand player movements, help players interact with each other and generally enhance the experience for everyone involved.